The world of the 21st century is predominantly urban, with currently 54% of the global population residing in cities, and an expected increase to 66% until 2050. While the level of urbanization is already high in North America (82%), Latin America and the Caribbean (80%) and Europe (73%), the future urban growth is expected to take place mainly in Asia and Africa. Cities in these two regions will have to accommodate 2.2 billion additional people until 2050, by then hosting 73% of the global urban population (compared to 65% in 2014). Shanghai (23 million). If we apply the threshold of five million inhabitants and include so-called emerging megacities (Kraas 2003, 2007a) or larger cities (UN DESA 2015), the number increases to 73 cities accommodating 20% of the global urban population. 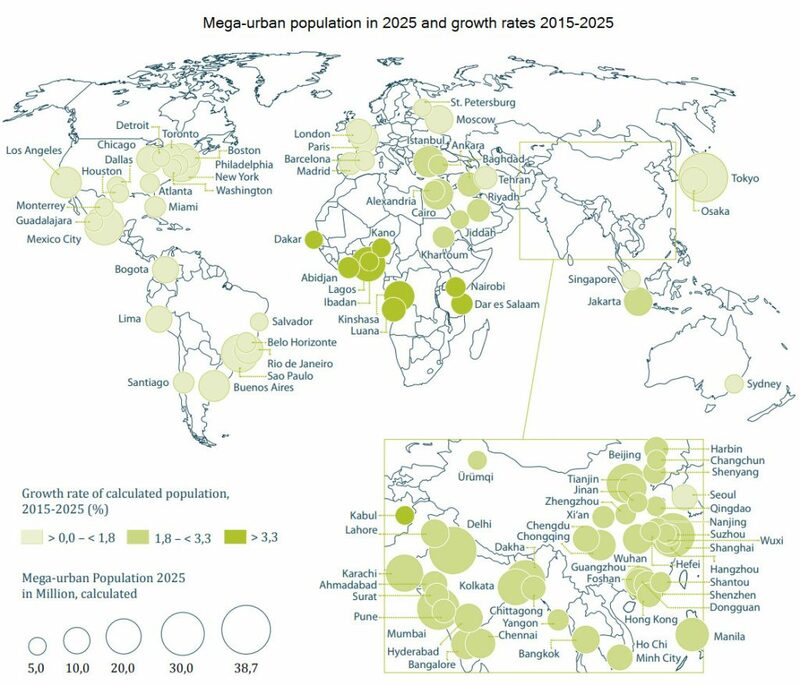 By 2030, there are likely to be 41 megacities and 63 emerging megacities, which will then accommodate 23% of the global urban population (1.2 million inhabitants). In 2014, 54 out of 72 emerging megacities and megacities were located in developing countries, and for 2030 estimates suggest that the number is going to increase to 83 out of 104. Frauke Kraas, Kirsten Hackenbroch, Harald Sterly, Jost Heintzenberg, Peter Herrle, Volker Kreibich (eds.) 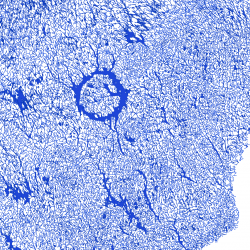 (2019): Megacities – Mega challenge: Informal Dynamics of Global Change. Insights from Dhaka, Bangladesh, and Pearl River Delta, China. Stuttgart (Borntraeger Science Publishers).